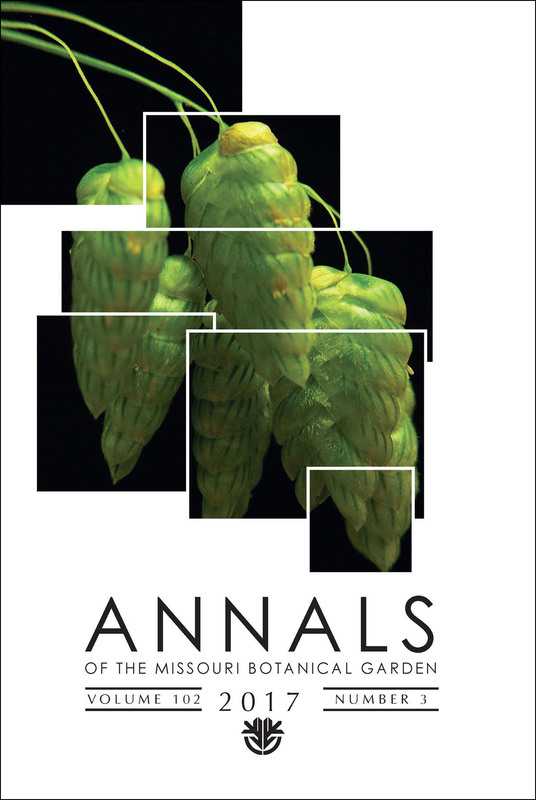 The Annals of the Missouri Botanical Garden is a quarterly international journal primarily devoted to systematic botany and evolutionary biology. We encourage submissions of original papers dealing with significant advances in the taxonomy, phylogeny, conservation, and evolution of plants using morphological and/or molecular characters. We also welcome reviews and papers on conceptual issues and new methodologies in systematics. Important floristic works can occasionally be considered. Symposia proceedings discussing a broader range of topical biological subjects are also published, typically once a year. All manuscripts are peer-reviewed by qualified and independent reviewers. Biogeographic Barriers in the Andes Is the Amotape–Huancabamba Zone A Dispersal Barrier for Dry Forest Plants? The World Flora Online, Target 1 of the Global Strategy for Plant Conservation, and the Species Plantarum Programme Flora of the World: Compatible Concepts or Mutually Exclusive Mandates?